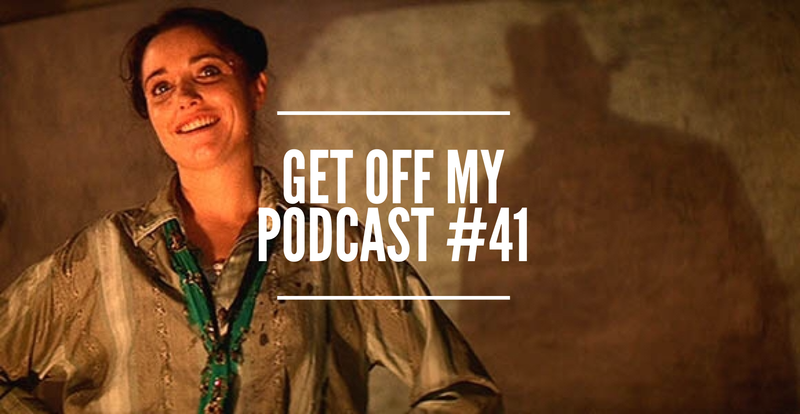 Indiana Jones 5 | Get Off My Podcast! We listen in on Harrison giving Billy D a nice tribute. We update Harrison’s upcoming projects: Call Of The Wild, Indiana Jones 5, Secret Life Of Pets 2. We review the desert that was 2018 and look to what will happen for Harrison in 2019. We pay tribute to Working Girl, since it’s been 30 years. All that and more. Thanks for hanging out with us! Are There 5 Bad Harrison Ford Films? You Bet Your A** There Is! : Get Off My Podcast! Don’t hire the Blade Runner 2049 gang for any convention panels because they are not good. If it wasn’t for Harrison Ford they would be a mess. So this episode we talk about some Harrison things. Things like how he has been doing with press for Blade Runner 2049 and what are the lowest ranking Harrsion Ford movies of all time. We also discuss why we think Indiana Jones 5 (aka “Indiana Jones 2020”) might be announcing a new writer soon and why Harrison and Ridley Scott are still debating about Deckard. Plus all the other Harrison Ford Universe talk worth … talking about.